Most of us have probably taken antibiotics at some point in our lives. Today, doctors can easily treat many infections, thanks to antibiotics. While it might be easy to take them for granted, antibiotics need to be used correctly. As a matter of fact, unless we use them responsibly, they are in danger of losing their effectiveness. 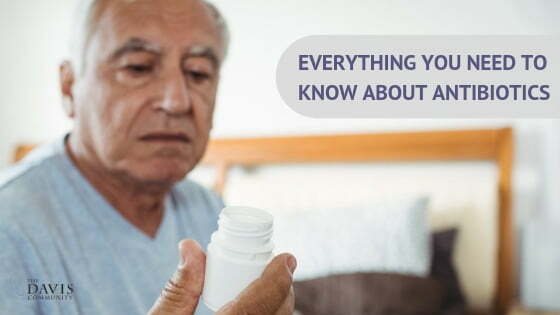 Here’s what you need to know about antibiotics and how to use them. It’s important to know that antibiotics are only effective in treating bacterial infections. So conditions caused by viruses, such as the common cold or the flu, will not improve if you take antibiotics. It is true that antibiotics have saved many lives. However, overuse and misuse have contributed to a problem known as antibiotic resistance. Antibiotic resistance occurs when bacteria develop adaptations that give them the ability to survive antibiotics. When a person takes antibiotics, only bacteria that have not developed resistance are killed. Thus leaving only the resistant super-bacteria behind. Resistant bacteria will then multiply. Thus resulting in more antibiotic-resistant bacteria. The long term result of antibiotic resistance is that antibiotics that used to be effective no longer work. This can lead to longer hospital stays and thus higher medical bills for people with bacterial infections. If there is no effective treatment, infections can get out of control. The urgency of this issue has led to the development of programs for antibiotic stewardship. What does that mean? Antibiotic stewardship is a set of strategies designed to improve antibiotic use as well as prevent their overuse. The goal is to treat infections more effectively and minimize the effects of antibiotic resistance. Doctors hope that antibiotic stewardship will help to prevent additional strains of resistant bacteria from growing and thriving. Antibiotic stewardship programs rely on healthcare providers. Doctors may try other treatments before prescribing an antibiotic. Or they may perform tests to determine exactly what kind of bacteria they are treating. They may also restrict the prescription of certain antibiotics or outline specific guidelines for dosages or length of treatment. Prevent infection. Practice good hygiene, avoid close contact with other people when you are sick, and keep vaccines up to date. Ask your healthcare provider if there are other treatments that don’t involve the use of antibiotics. Never share your antibiotics with family or friends. Also, you should not use your friends’ antibiotics. Follow your doctor’s instructions exactly when you take antibiotics. Finish your entire course of treatment. Don’t skip doses, and take them for the full number of days prescribed. Safely dispose of any remaining medication, and never save medication for future use. Don’t demand antibiotics if your doctor says you don’t need them.